I have noticed I react negatively to quite a few cleaners with chemicals, fragrances, and dyes. Sometimes the smell is so strong when I walk down the laundry and cleaner aisles of a store, I feel light headed. My husband can no longer walk down the laundry and cleaner aisles without getting sick like he caught a fast-moving flu bug. Our bodies were giving us cues that we needed to find some natural cleaning alternatives. I began using inexpensive, simple baking soda. 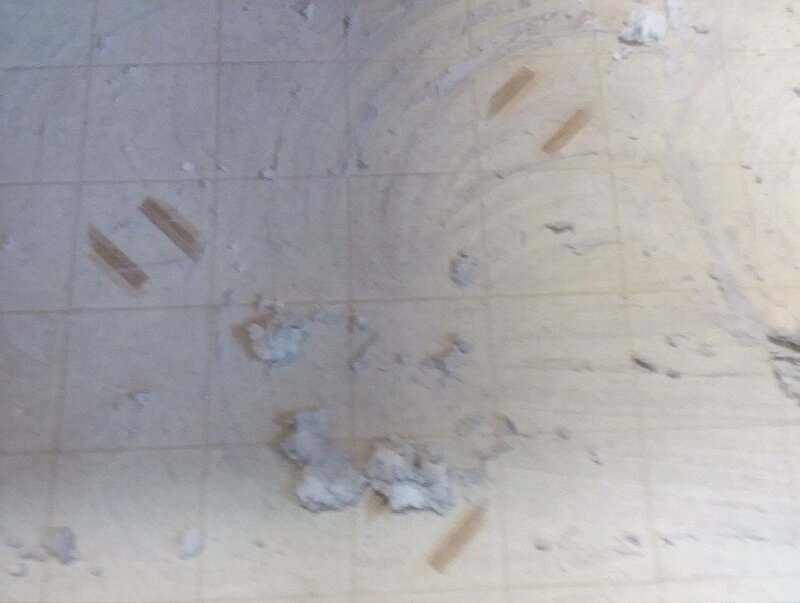 I quickly discovered that baking soda works miracles! 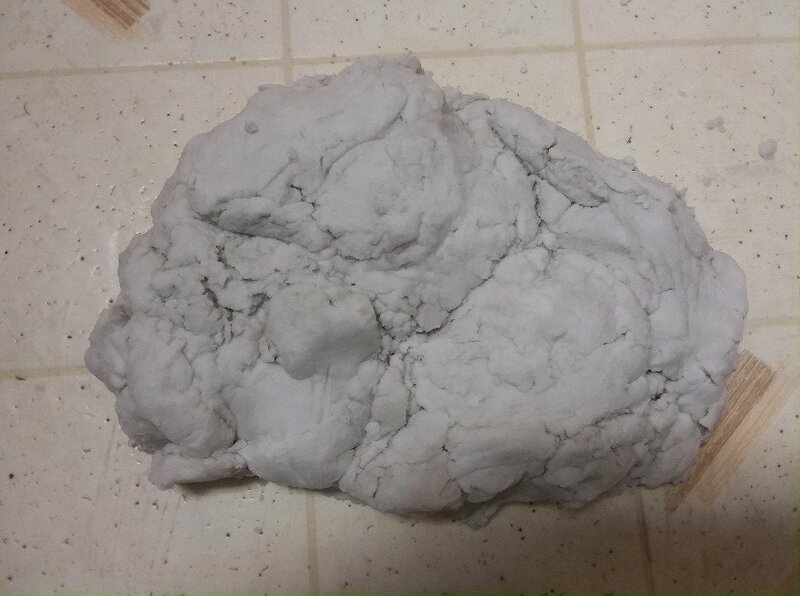 Baking soda truly is a wonderful treasure. 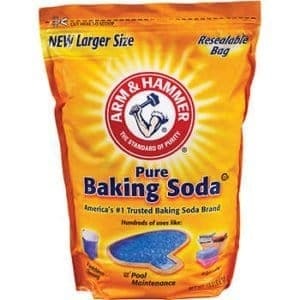 I buy my baking soda at Costco in bulk because I use it a lot of it! I put baking soda into every load of laundry now. It gets rid of odors without covering up smells with strong, toxic fragrances and chemicals. Baking soda does a wonderful job of whitening dingy whites. 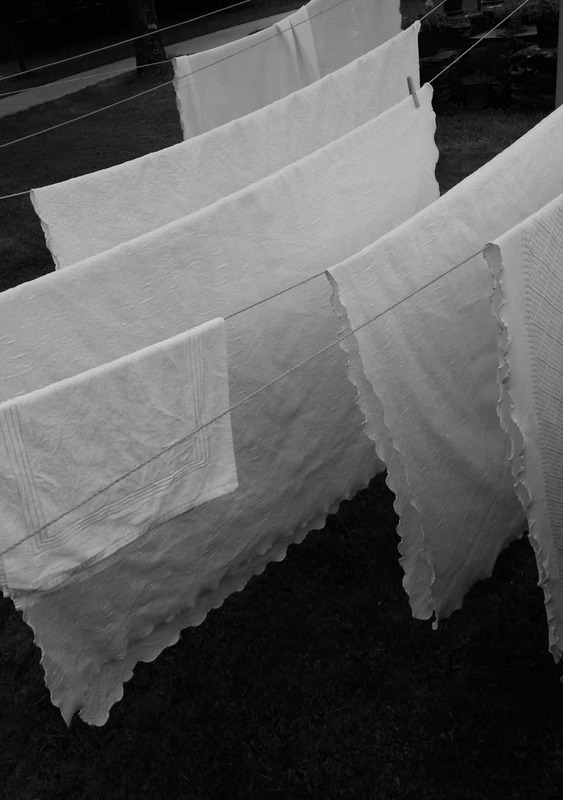 I like to use about 1 cup baking soda per large load of lightly soiled whites, more if the whites are really dirty. If the batch of clothes I am washing is not very dirty, I use only baking soda. That is correct, I don’t use any detergent. I use even less than this article recommends. 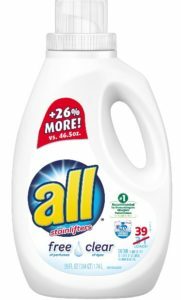 Three people do laundry at my home and we use about three regular size (about 30 to 39 loads) bottles of liquid laundry detergent per year and it isn’t because we do less laundry; it is because we use a very small amount of detergent. I use the least expensive brand of free and clear liquid detergent which usually ends up being All detergent. I think the reason our laundry is still clean and fresh is that we use about a 1/2 cup baking soda per regular load of lightly soiled laundry along with the drastically reduced amount of liquid laundry detergent. It saves a lot of money and it is healthier for our family and our washing machine! Baking soda works miracles in my laundry room, if you haven’t tried it, I strongly recommend purchasing a bag the next time you go to the store. I helped a good friend move a few weeks ago. 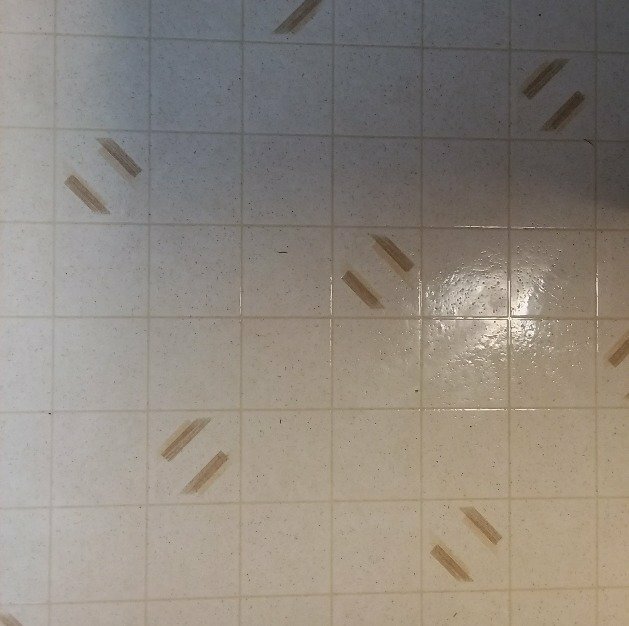 The linoleum floors in this home were extremely dirty. A half of dozen women also came to help my friend, Susie, move and we all agreed that there was no way those dirty linoleum floors were coming clean. Baking Soda Works Miracles! I returned the next day to help Susie clean her home. 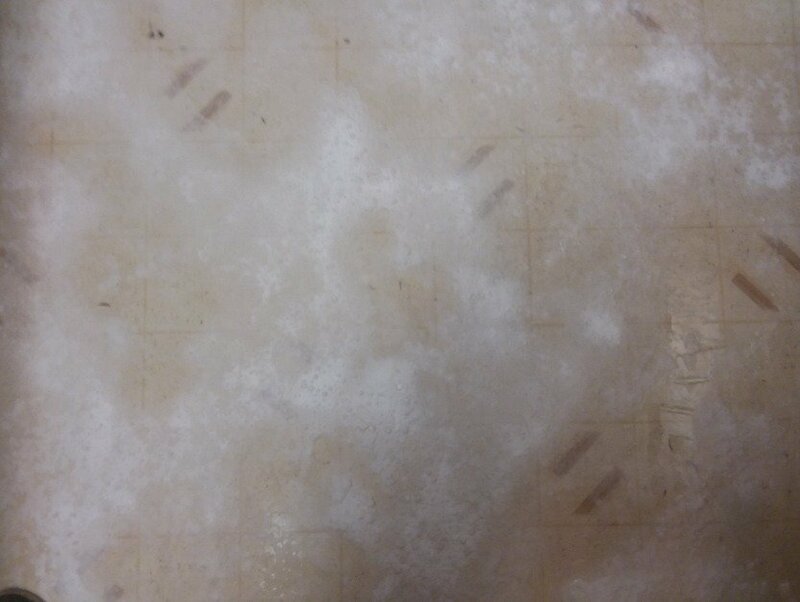 I had the thought to try baking soda on the dirty linoleum so I sprinkled baking soda on the floors. Then I was going to sprinkle water on top of the soda, but Susie had a gallon of Heinz apple cider vinegar sitting there, so I decided to try sprinkling it on top of the baking soda. It fizzed up and the magical work of the baking soda and vinegar combo began. 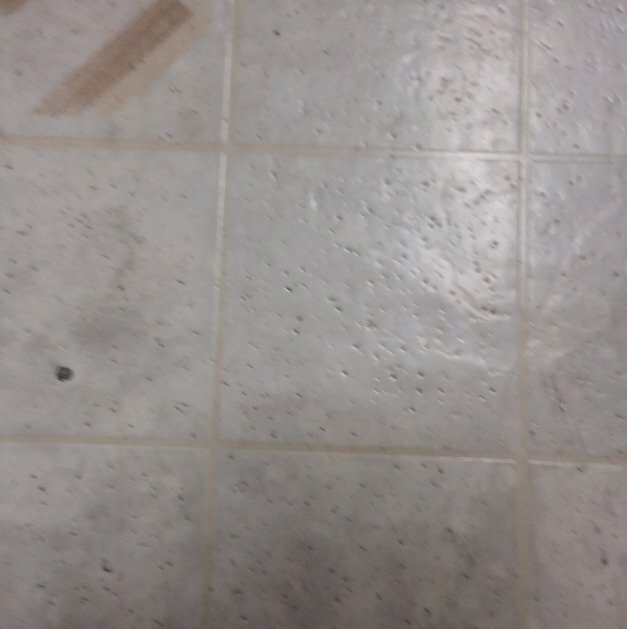 As I mixed the baking soda with the vinegar, it began to turn gray and I could see the baking soda combo was easily lifting the dirt from the linoleum floor without any laborious scrubbing. Susie and I couldn’t believe what our eyes were seeing! It was AMAZING!!! My son has two black kitties that he loves. He called me one day wondering the best method to clean up kitty urine from his carpet. I told him to soak up as much urine from the carpet as possible with a rag (get the carpet as dry as possible). Next, I told him to sprinkle baking soda on the affected area and let it dry for several hours. Lastly, vacuum up the dry baking soda. It worked wonderfully. Urine stains do not become a problem when immediately applying baking soda to your pet’s accidental pee areas. A great natural antacid is a scant 1/2 tsp baking soda added to 12 ounces of water. Let the soda dissolve before drinking. For added benefit, if you desire, you may add a teaspoon or so of natural apple cider vinegar. I like Bragg brand apple cider vinegar the best. This remedy is also beneficial for balancing ph levels because baking soda is alkaline which balances acidic environments. 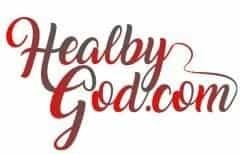 Here is a link to homemade toothpaste and mouthwash recipes that are made with baking soda.